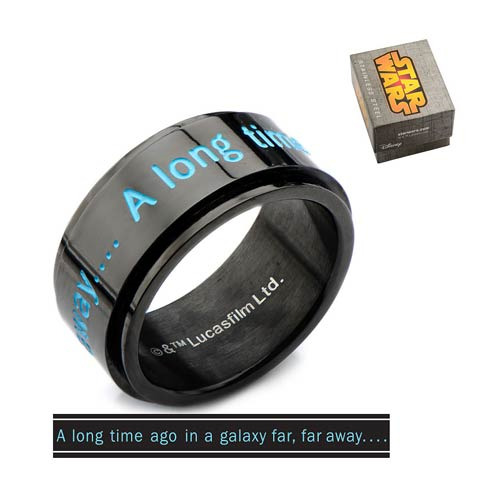 A long time ago in a galaxy far, far away… there was a ring perfect for the Star Wars fan! The Star Wars A Long Time Ago Spinner Ring features the iconic opening phrase from the famous Star Wars crawl. Start your own galactic adventure today!